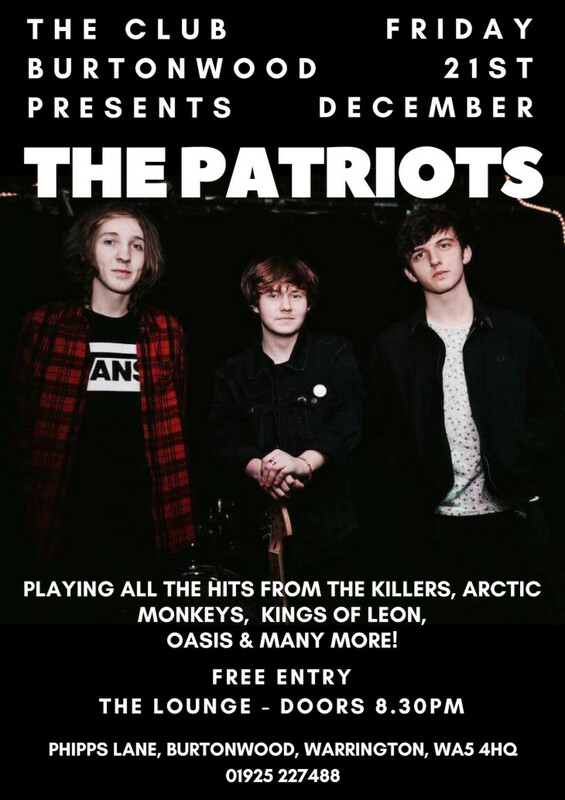 We're delighted to welcome back the always fantastic The Patriots to the lounge for Mad Friday! After their stunning performance earlier in May we can't wait to hear the lads again. Performing all the indie dance floor hits from the likes of The Killers, Arctic Monkeys, Oasis & Many More!